Deeply relaxing, inspirational electronica in a style somewhere in-between schiller, vangelis and enigma. 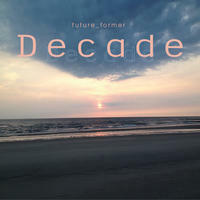 "Decade" is the essential of the last 10 years of Danyel's work as a music composer. The year 2007 marked the start of a new episode in his life and in many ways a new beginning: he had some things to learn, to discover, and to recapitulate his past, present and future. Every song on this album tells a story from Danyel's journey. His music is as much about his feelings and thoughts, as it is about the relationships between his family, friends and himself. And while some people describe it as relaxing and emotional, others feel that listening to the songs helps them reflect on their life. It is in fact Danyel's mission to instill good vibes with his music and to have a healing effect on people! Danyel composed the music for this album in the classic way, with physical electronic but also virtual software instruments. He used several hardware synthesizers such as the Yamaha CS-80. Other sounds were produced by software instruments like Kontakt or Omnisphere. That's the way how Danyel creates his music: he perceives making music with these modern tools like exploring new worlds; they give him the power to create a real listenable dream. This album is dedicated to my family & friends and all the people loving Chillout and Electronic music. A very special thanks goes to Mathias Willvonseder (Copenhagen) for his long term friendship and usage of his outstanding studio capabilities for a few songs. I also have to thank Bernd Scholl (Moonbooter) from Mellowjet Records for his excellent Audio Mastering of this album." License Deeply relaxing, inspirational electronica in a style somewhere in-between schiller, vangelis and enigma by future_former for your project. Play the music of future_former in your restaurant or store. The Once and Future Harp by Cheryl Ann Fulton: World-class performer and teacher of Medieval, Baroque, Welsh triple, Celtic and Concert harps. Lisa Lynne and the Elfin Love Tribe, Instrumental Songs of Good Cheer by Lisa Lynne: Inspirational, uplifting, gentle, and soothing Celtic harp, World flutes, guitar and more.